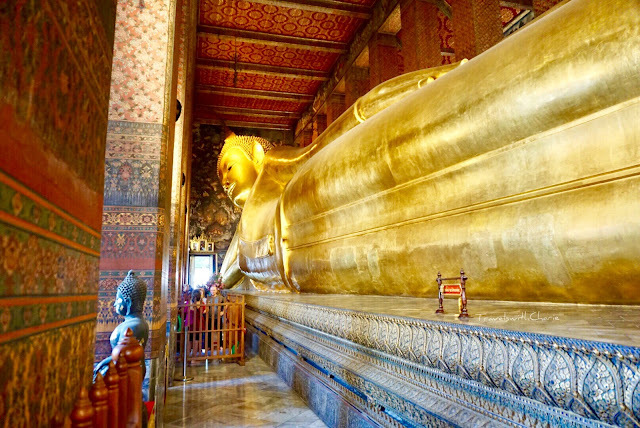 The Reclining Buddha or Phra Buddhasaiyas is 46 meters long and 15 meters high (150 ft by 49 ft). Sihasaiyas refers to the sleeping/reclining posture of a lion. Phra Vihara, the hall of the Reclining Buddha was built in 1832 during the reign of Rama III. The figure is made with lacquered and guilded stucco over a brick-based corpus. The Buddha’s head rests on two box pillows inlaid with glass mosaics and is supported by his right hand. The feet of the Buddha is 5 meters in length and 3 meters in height (16 ft by 9.8 ft). Notice his toes which are all even in size and height. Phalaenopsis On the way to the floating market in Damnoen Sadauak, we stopped at the Samut Songkhram Coconut Sugar Farm where these exotic orchids grow in their garden. According to feng shui practices, orchids are symbols of perfection, happiness, love and beauty. So when someone gives you orchids, you are loved! 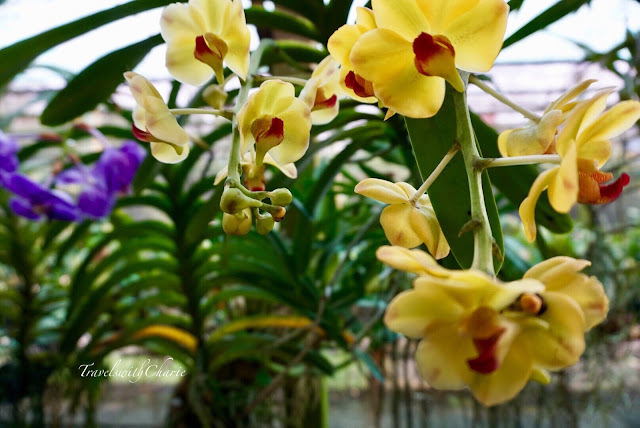 Orchids bloom once a year and to see them bloom in your home is quite rewarding. Cattleya Cattleyas need a lot of light and thrive in dry climates. When growing at home, they should be placed near the window that receives a lot of sunlight. Vanda Vandas and dendrobium orchids are among the most widely used orchids for leis. They are so exquisite that wearing one is pretty special. They are not fragrant and I personally can't wear it for too long. Two hours south of Bangkok is the bustling floating market of Damnoen Saduak. Visitors can't wait to get on a small boat to shop along a narrow and short stretch of the khlong (canal) where boats jostle for position and vendors display their offerings to eager buyers. The most attractive offerings are the fresh fruit, steaming bowls of soup and local delicacies. I watched from the platform as soup was prepared by a vendor in his paddle boat. His sign reads: boiled rice soup, noodle soup, pasta soup at 30 baht per bowl. It was fascinating to watch the steam rising from the pot as he prepared the soup. It smelled so good and I became hungry watching him cook. This lady is making sticky rice in a rainbow of colors. Mango sticky rice is a dessert staple in Thailand as is the rice black pudding. This boat is laden with bananas, macopa (mountain apple), guava and young coconut trees, among others. Leather goods are a hard sell when customers are busy eating. Staubbach Falls Surrounded by towering rock faces and snow capped mountain peaks, Lauterbrunnen has one of the most dramatic settings in the Bernese Oberland. Free falling Staubbach Waterfall rushes down nearly 300 meters off the face of the cliff to the valley below. It seems to disappear behind a group of chalets on main street leaving a trail of wet spray. 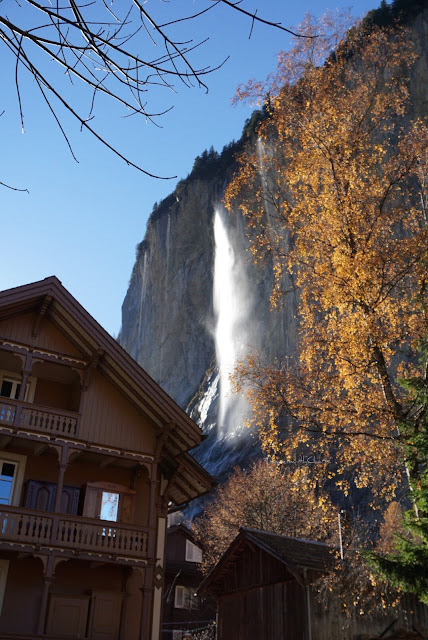 Staubbach is only one of 72 other waterfalls in Lauterbrunnen. Lauterbrunnen Valley To get a good view of the valley, take the train to Wengen, an alpine village above Lauterbrunnen with an elevation of 1,274 meters (4,180 ft.). The village of Iseltwald is a quick 15-minute bus ride from bustling Interlaken. 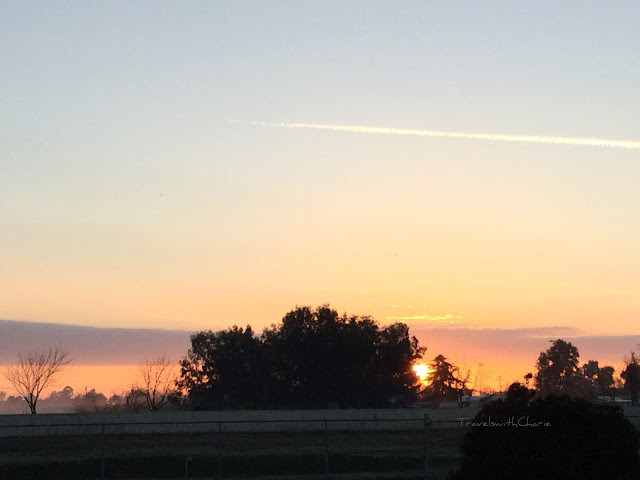 But those few minutes through a winding, one lane highway that manages to squeeze two vehicles going in opposite directions, make all the difference in the world. 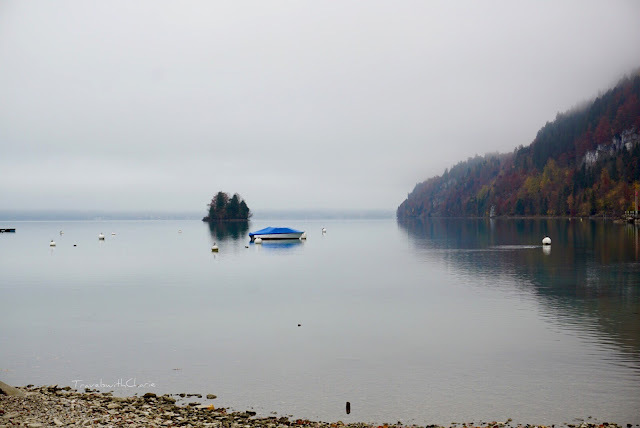 I felt like I arrived in Brigadoon as fog hovered over green hills that roll down to the lake. Yes, the setting of the musical, Brigadoon, is the Scottish Highlands. And I´m in equally magical Switzerland. Lake Brienz is like a mirror reflecting the surrounding mountains and valleys that is home to a few hundred residents. The streets were so quiet as I walked around the village in early afternoon. Were the locals taking a siesta? But this is not Spain! The only noise I heard was from my camera as I clicked away, trying to capture this sleeping beauty that will awake in winter when skiers descend upon the village. How lucky I was to observe the smoke curling out of the chimney of this wooden church without the selfie crowd! After a few days with family in Paris, I had to decide where to go next. My first thought was to travel to Carcassonne via Provence for a week of wandering in the region. 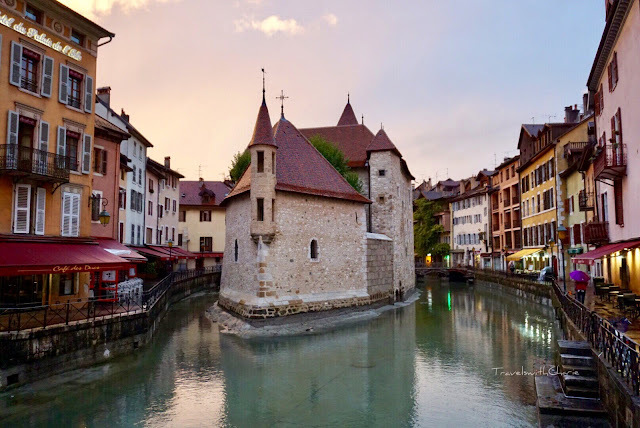 While studying my options, I came across a photo of Annecy similar to that above. I took the fast train to Annecy the following day and lost no time in exploring the Vielle Ville (old town). The Palais d’Île was constructed in the 12th century on a rocky island on the Thiou River. It has served as a prison, a mint in the 14th century, the residence of the Dukes of Savoy in the 15th century, a courthouse and now serves as a museum for Architecture and Heritage Interpretation. Lake Annecy What I liked best about my visit to Annecy were the daily walks I took along the lakeshore. The backdrop of mountains and fall foliage made the stroll even more pleasurable. I felt invigorated after spending time by the crystal clear waters of the lake.